I have a post planned at some point about weaning babies onto solid food. Partly because this has been one of my least favourite bits of parenting (marginally better than witnessing your child have a massive tantrum, but only slightly). Anyway, without giving away all my excellent tips, or more accurately, without telling you all of my (many) failures in the weaning department ahead of that post, I will say one thing and that thing is this: try and make sure your baby likes bananas. So far 2 of my 4 children like bananas but I wish I had a full house. They are so portable! So filling! So healthy but sweet! 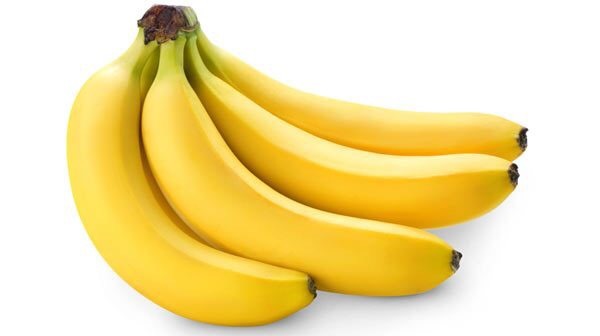 All that potassium! And always readily available. But no, one child will only eat strawberries and grapes, in the fruit department, which is useful for about 1.5months of the year. Anyway. Seeing as they won’t all eat bananas in their natural state it is something of a mystery to me that they unanimously love these banana muffins which are, after all, very banana-y. But that’s the kind of logic you’re dealing with when it comes to children and food and that’s why I do not enjoy the weaning process. That aside, these are the easiest banana muffins you’ll ever make, delicious enough even for the bananaphobe, and guaranteed to turn out well even when you are making them with children ‘helping’. Also, I always freeze a few once baked. That way you can pop a frozen one into a packed lunch in the morning and it will have defrosted perfectly by snack time. (Smug to the max). Preheat the oven to 350F/180C. Either grease a muffin tin or add some paper liners. Mash the bananas. Add the sugar, egg, butter, vanilla. In a separate bowl: mix the dry ingredients – bicarbonate soda, baking powder, cinnamon, flour, pinch of salt. Add dry ingredients to the sugar/egg mix and fold in gently. Throw in whatever extras you fancy – chocolate chips, walnuts, you name it. Bake for 20 minutes, until golden and firm to the touch. No photos because as we’ve established I’m no food photographer, and because when I tried to take a photo of our last batch I was also trying to stop all 4 children from diving on them and it didn’t seem fair to make them wait any longer. 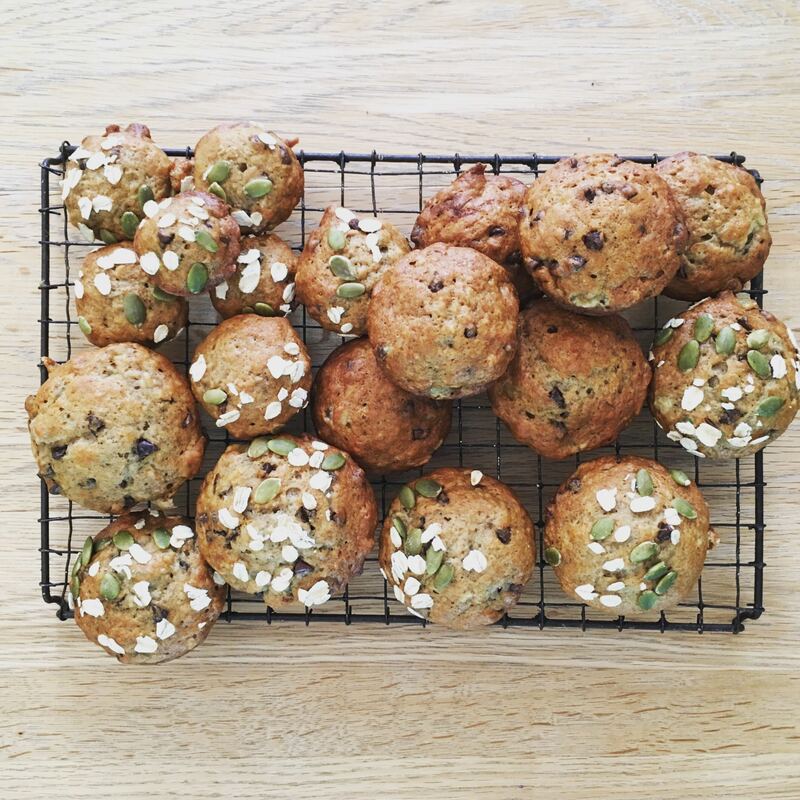 But you know what banana muffins look like – and, well, these look like that. The only banana muffin recipe you’ll ever need. Enjoy! Edited to add: a photo! Who said I couldn’t take photographs of food?